DAVID LE/Staff photo. 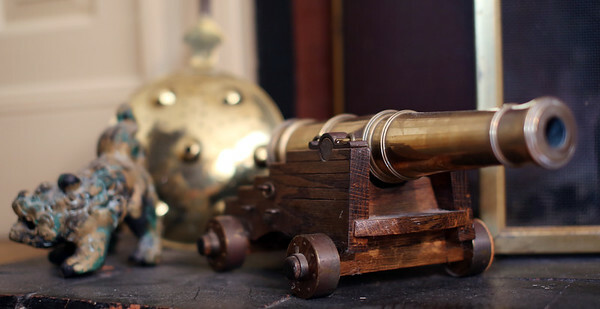 A small cannon adorns the stone hearth next to the fireplace in the second living room. 10/9/15.